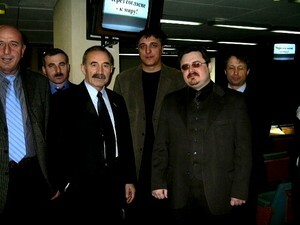 Pavel Klachkov meets Aslambek Aslachanov, the State Duma deputy from Chechnya. On February, 21st in Krasnoyarsk Aslambek Aslachanov, the State Duma deputy, gave a round-table conference concerning the topic "about social & political situation in Chechnya republic and participation of Chechen diasore from Ural, Siberian & Far - Eastern federal regions in elaboration of proposals directed on the stabilization of the situation in Chechnya". The representatives of the powered ministries & departments of the Russian Federation, the heads of Chechen diasores of the three federal districts - Ural, Siberian & Far - Eastern, the officials of the Krasnoyarsk region administration were present. The anty-Kadyrov rethoric sounded in the speeches of the representatives of the diasores more than once. At the same time the Aslachanov's initiatives were entirely supported. Each speaker gave a brief survey of the situation in a concrete subject of the Russian Federation, a characteristic of relationship with powers, with law-enforcement bodies. The disagreement with the form of the presidential republic on offer predominated, the parliamentary republic is the very one which would be more optimal in Chechnya. This round-table conference was the first of three. Aslachanov planned to draw the diasores of all the federal districts in the discussion of the situation in Chechnya. 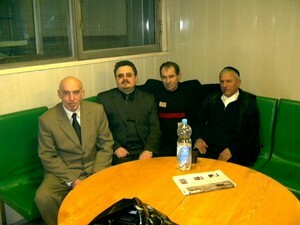 After Krasnoyarsk conferences were held in Samara & Rostov. It is of no doubt that Aslachanov enjoys authority & recognition of Siberian, Ural & Far - Eastern diasores. They see him a person who is able to consolidate the diasores, to coordinate their activity, to solve the local problems with powers. So he met Chloponin, the governor of Krasnoyarsk region, & Pimashkov, the major of Krasnoyarsk, & discussed the questions about improvement of Chechen community position. The question about the Krasnoyarsk region's taking part in the restoration of Chechnya was also discussed. The approach of Krasnoyarsk powers to the Chechen problem Aslachsnov called "positive & state." The representatives of the diasores insisted on the more intensive interrelation, the revival of the bounds between the diasores of all the regions, because at some points their positions are strong and at some ones there is an evident arbitrary rule from the direction of law-enforcement bodies. The brotherhood can help in inculcating of relation with powers "technologies" which have made a good account of themselves in some regions. As an example they take Krasnoyarsk region where the Chechen work in the region administration, in particular it is a Chechen who is responsible for the international relationships. Also there is an actively functioning Moslems of the region council and it is a Chechen as well who is responsible for the interrelations with the subdivisions of armed forces of the Russian Federation dislocated on the territory of the region. After the round-table conference there was adopted a resolution. Also some details of the "The Chechen People Congress " organization and the selection of the delegates principles for the Congress were discussed. Aslachanov's visit was strongly elucidated in Mass Media. There were a lot of federal canal's TV-cameras at the opening of the round-table conference. Due to all having happened one can surely say that Kadyrov is not accepted is subjected to criticism by not only the Moscow diasore but by the provincial ones as well. And at the same time the level of confidence in Aslachanov has essentially aroused. 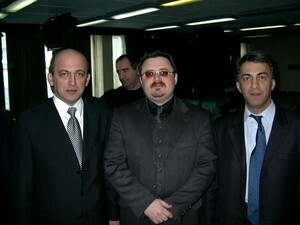 This is a very important factor for these are the financial successful representatives of the diasores who help actively their numerous relatives in Chechnya.